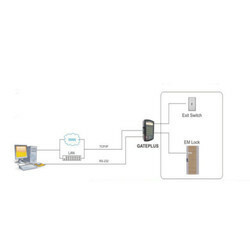 Gateplus Access Control is a Time Attendance and Access control system capable of gathering time and attendance information and can be extended to provide campus management including visitor information management. Besides this, it includes isolated output to control EM Lock with exit input switch. 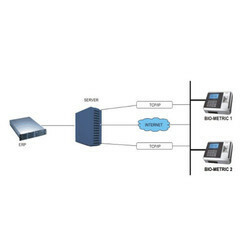 Gate-Plus with Bio-Metric is a cost effective standalone fingerprint time and attendance terminal with good performance, designed specially in the purpose of small office and small middle industries segment. Terminal built on industries best algorithms with dependability and accuracy, identification speed obviously improved process 2000 fingerprint in a records. Intelligent self learning feature and support multiple languages.